A building has to offer up something quite special indeed to be named a UNESCO World Cultural Heritage Site. 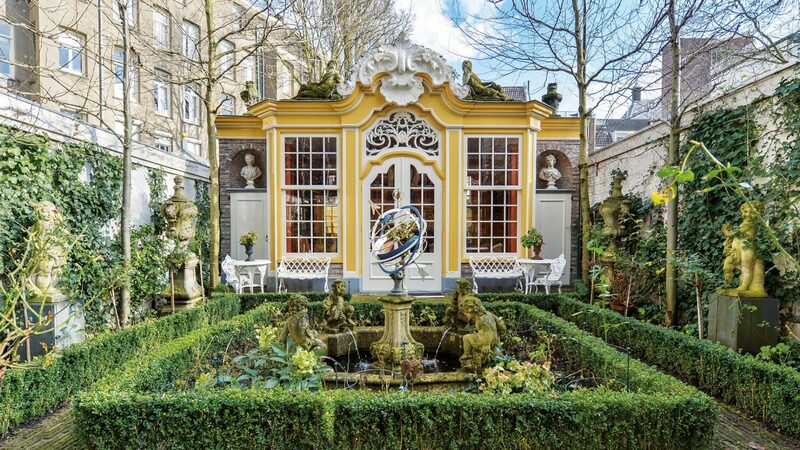 This property in Amsterdam has more than earned its listed status. It is a tremendous mix of old and new, blending the style of the 18th Century with the very latest home comforts. Amsterdam has an exceptional capacity to re-invent itself over and over again. Once the wealthiest city in Europe back in the mid-17th Century, with docks and warehouses piled high with silks, spices and all manner of other treasures sourced from India, Pacific territories and elsewhere, it has excelled in the fine balancing act between its grand past and the here and now. The atmosphere is relaxed. The canals with their traditional edifices may appear historic, but the life that takes place behind them is anything but yesteryear. The architecture along the canals is particularly impressive: The houses in the inner canal circle are built on some five million wooden stakes, bored down into the damp and sandy subsoil. On these stakes the typical buildings stand tall – and narrow. The reason for this architectural quirk goes back to taxation: the taxes on a building were charged on the basis of their width along the canal. 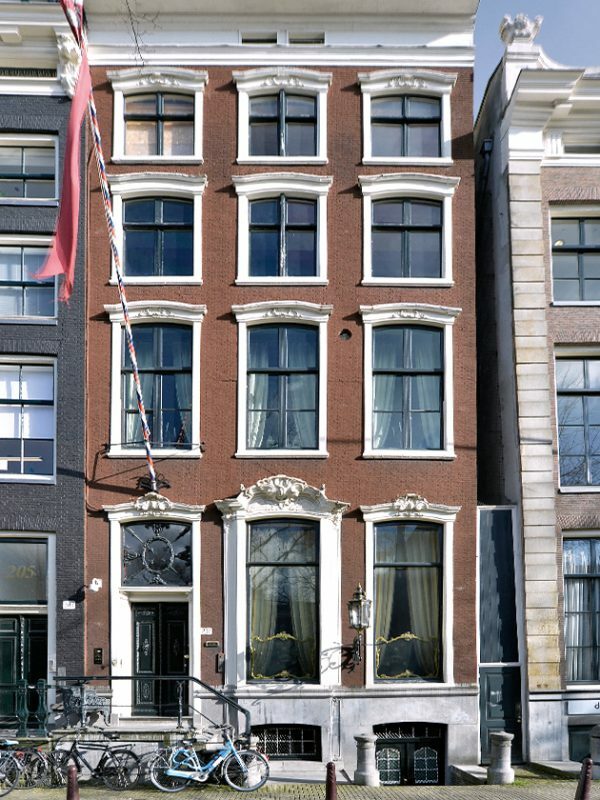 As a result, the properties in Amsterdam were built with narrow frontages. To ensure sufficient living and storage space nonetheless, the buildings were extended far back into the land plots, and far up in the vertical. A knockon effect of this approach to building meant somewhat narrow stairwells. Furniture and other bulky paraphernalia therefore had to be moved into the houses through the windows. To ease such an undertaking, the gables on many of the house fronts feature protruding beams where hoists can be attached. In bygone days, removals without this straightforward and practical method simply would not be have been possible. A fact that remains true to the present day. Frans de Mari’s home was built in circa 1751 in this characteristic style. 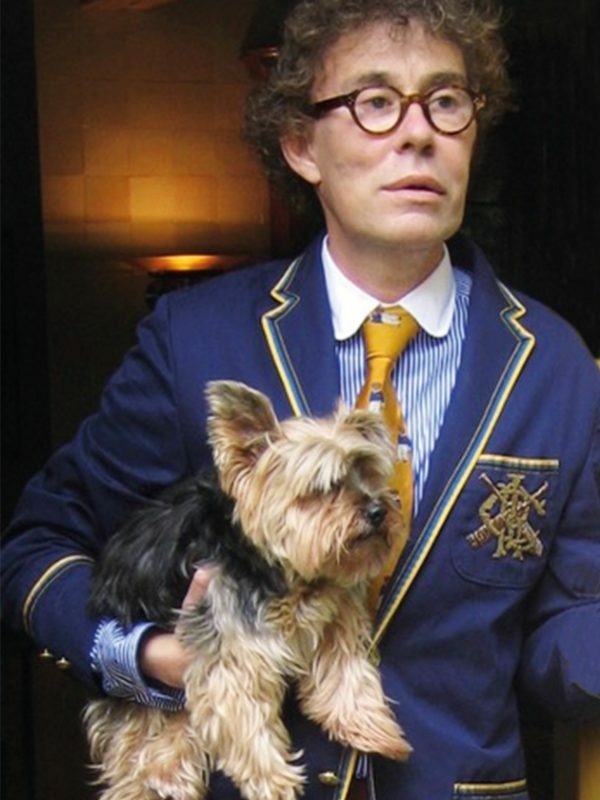 In recent years, he has taken it upon himself as the custodian to renovate the building, even installing new foundations beneath the entire property, which comprises both a front and rear building, as well as a garden and a pavilion. The ensemble on the Keizergracht is in such a pristine condition that it has been granted the status of a UNESCO World Cultural Heritage Site. The antithesis between the interior and exterior is perfectly charming: The rather understated brick façade rises up along the canal elevation with subtle white stuccowork around black wooden windows, while inside, by contrast, visitors are taken on a voyage back in time. Naturally, the living spaces are fitted with all manner of technical amenities. Whereas in the past all eight fireplaces in the house would certainly have had to be loaded with coal and wood to keep the temperature in the prestigious interiors pleasant enough for the residents, nowadays a central heating system warms this home, controlled by building systems technology via smartphone. Even so, the grand fireplaces with their beautiful surrounds remain in operation, one being wood-burning and the other seven gas-fired. All the rooms on the raised ground floor and first floor are particularly magnificent, thanks not least to ceilings that soar as high as four metres. 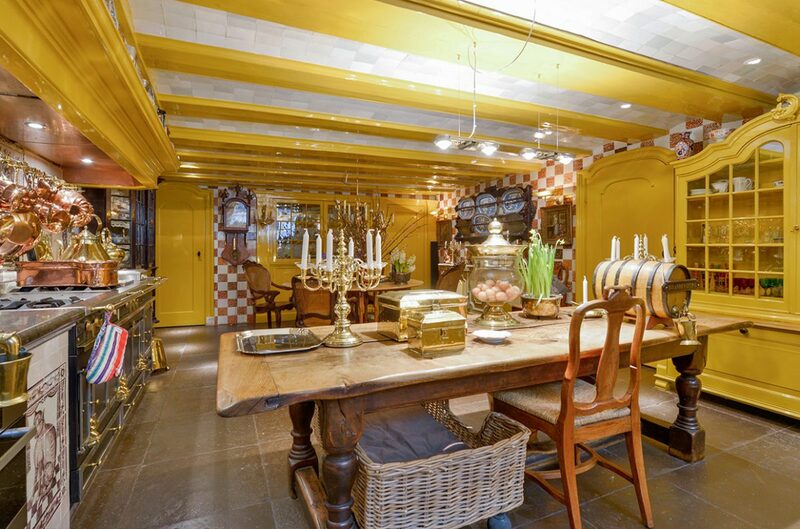 Wooden beams, hand-painted with exquisite ornateness, catch the eye immediately. While many of the coffers between the beams are lavishly decorated. And then there are the wonderful stucco ceilings, some crowned with vast ceiling frescoes in the middle. The opulence continues on the walls, some of which are adorned with Chinese wallpapers or panelling, where impressive paintings and luxuriant mirrors hang. The latter also have a very practical role to play: The architectural design dictates that daylight always falls into the space from one side of the room. Even though many of the windows are very large, the mirrors have the job of reflecting the light in all directions, thus dispersing more natural brilliance throughout the house. The layout of the property, spanning some 826 square metres in total, reflects the realities typical of its epoch. A separate entrance leads down from the canal elevation to the basement. 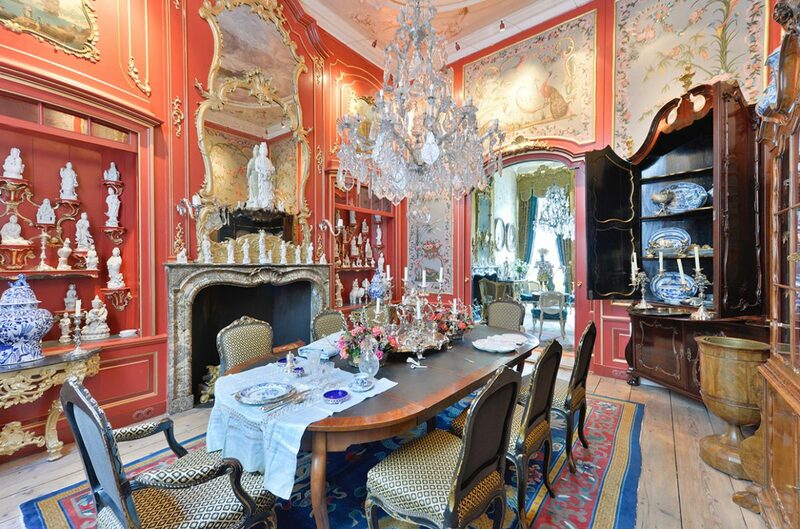 This level presides over a large kitchen with a château-range by La Cornue, as well as a common room for staff. 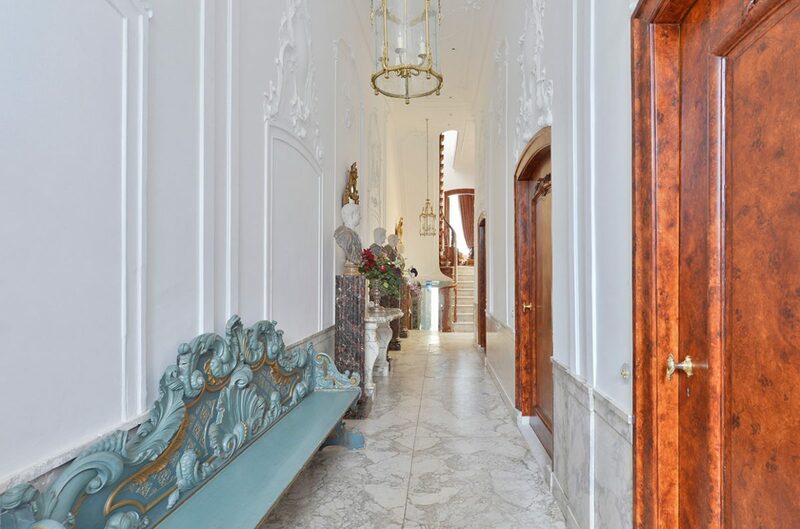 The main entrance is on the raised ground floor, with a resplendent hallway featuring its original marble floor and Louis XV-style stucco decoration. Two rooms that flow into one another reveal their full splendour here. The owners have arranged inherited furniture and complementary furnishings in order to create an elegant retro world. Pieces they didn’t already own were purchased, to create a consummate whole abundant with harmonious elegance. A patio leads from the front to the rear building, which houses a breakfast room overlooking the inner courtyard, as well as a splendid dining salon with Louis XV panelling, antique mirrors and garden views. Both rooms preside over marble flooring and underfloor heating. On the first floor of the front building, the owner’s favourite room can be found: “The so-called bird room with its wonderful view of the Westertoren tower is my most treasured space in the house,” says Frans de Mari. The birds that give the room its name were painted on the ceiling in the 18th Century. On the same level, there is also an extraordinary library with four-metre-high bookshelves and gold leather wallpaper. The same level of the rear building plays host to a salon perhaps most stunning for its wall frescoes and its monumental fireplace. The second floor of the main house accommodates three guest rooms, with stairs leading to a large, bright studio that consumes the entire level above. On the top storey of the front building, two comfortable bedrooms and a bathroom can be found directly under the roof. Meanwhile in the rear building, which is two storeys shorter than the front property, there is a separate apartment ensconced above the main salon, comprising a vestibule, a bedroom and large bathroom. The atmosphere here is equally impressive as in the rest of the property, thanks to the splendid wall paintings and a fireplace. 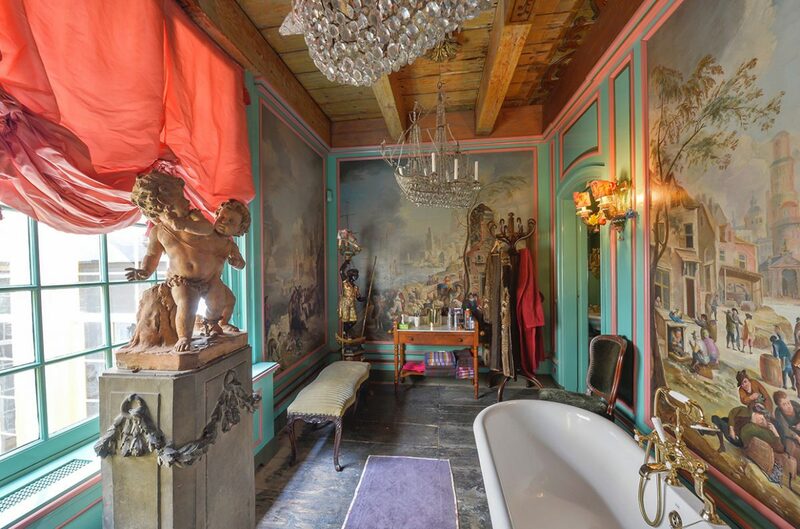 All in all, this listed residence has 18 rooms, none of which could be more awe-inspiring. It is the authentic mood in the house that Frans de Mari loves above all else, along with the unique dimensions of the individual rooms, and the light. Anyone with a sensibility and admiration for the combination of historic elegance and modern comfort will feel instantly at home in this 18th Century masterpiece.